2019 Scolio-Pilates Mentorship in Phuket, Thailand. 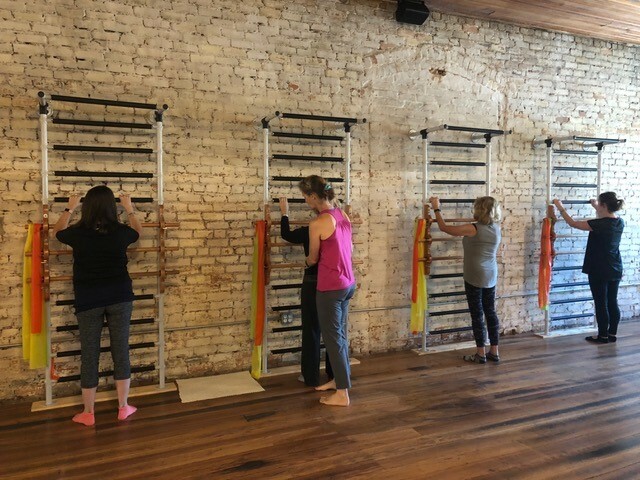 The Scolio-Pilates Mentorship is a 4-day intensive study (24 hours of class time) of three-dimensional exercise for scoliosis for professionals in the field of exercise science. These professionals include, but are not limited to, Pilates Instructors and Physical Therapists. Be a professional in the field of movment: Physical Therapist, Pilates Instructor, etc. Spend 3-6 months working with scoliosis clients/patients. Apply to the Scolio-Pilates mentorship. This application includes a detailed case report of your work with one scoliosis client/patient. A sample case report will be sent to you when you make the deposit for the course. The deposit will be returned if your application is not accepted. After attending the Mentorship, you will be required to complete some follow-on work based on your skills exhibited at the Scolio-Pilates Mentorship. (1) K2 Spine Wedge, (1) Pelvic Wedge, (1) C-Wedge, (10) pairs of Scolio-Wedges, (20) Scolio-Angles (10 Rectangles and 10 Triangles). Membership Fee. Your first year of Scolio-Pilates Professional Membership fee is included in your Mentorship tuition. After that the annual renewal fee will be collected annually. Currently, in 2019, the renewal fee is $225/year. 2-hours of access to Karena for help and advice with clients/patients. Access to a private Facebook group where the practitioners share and discuss information as it relates to Scolio-Pilates. This is a very active group and a constant source of learning. Quarterly professional meetings where we will meet online to discuss all topics related to scoliosis. 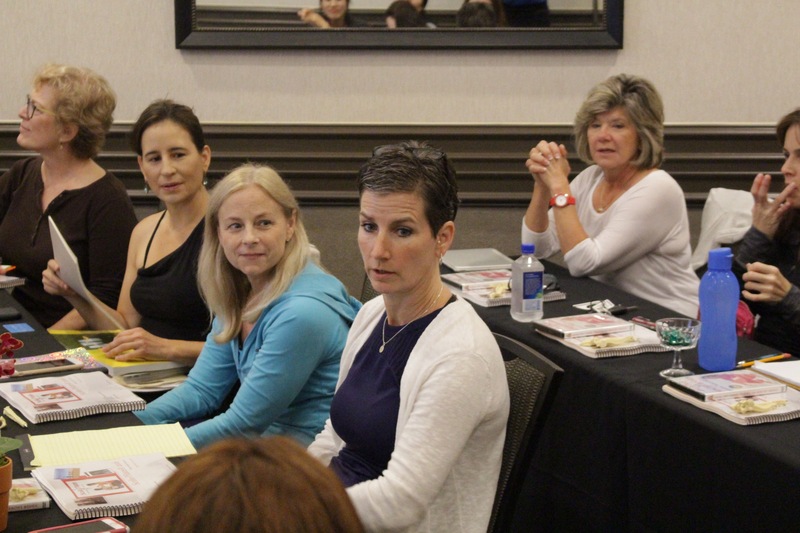 This professional meeting time is crucial for keeping us all up-to-date on what is happening in the field of scoliosis and exercise. The learning begins in the Mentorship classroom, and continues in earnest as you take on more scoliosis clients and collaborate with your colleagues in the profession of scoliosis. We would love to have you! More help is needed around the world to support the under-served population of those living with scoliosis! 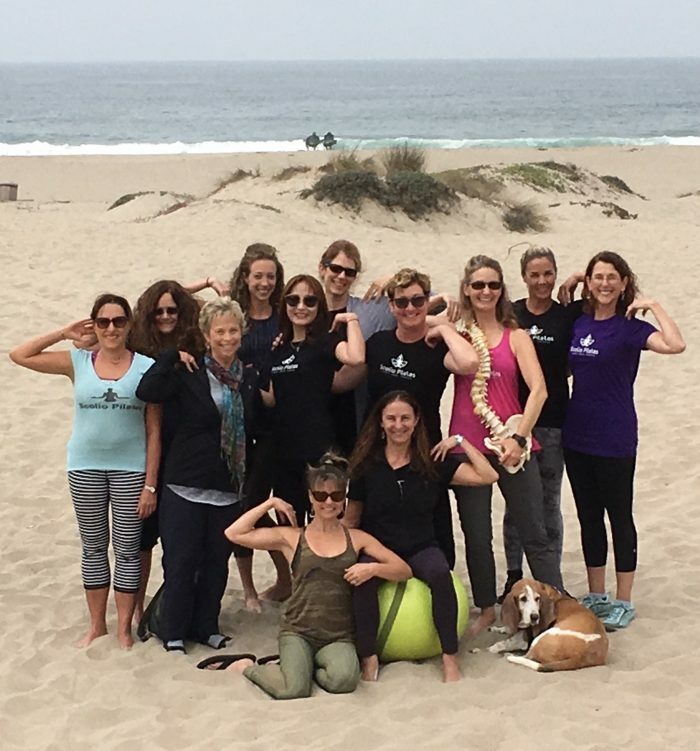 Can anyone attend the Mentorship and be an Authorized Scolio-Pilates Practitioner? No, to be an Authorized Scolio-Pilates Practitioner, you must be a professional in your field of movement or therapeutic exercise. Pilates instructors and Physical therapists are acceptable professions. If you are a professional in some other form of movement or health management techniques, please just ask us! Email Karena at Karena@osteopilates.com. What is the process for becoming an Authorized Scolio-Pilates Practitioner? Once you know that your profession allows you to be an Authorized Practitioner, you must first attend the Anatomy of Scoliosis course, followed by the Scolio-Pilates Seminar. After attending the Scolio-Pilates Seminar, you can register for the Scolio-Pilates Mentorship. There must be 9-12 months between your Scolio-Pilates Seminar and the Scolio-Pilates Mentorship so that you have time to practice what you learned in your first two courses. When you register for your Mentorship, you will receive a sample case study that you will use as a model to complete your own case study. This case study is part of your application to attend the Scolio-Pilates Mentorship. When your application is accepted, you can then attend the Mentorship. After the Mentorship, you will have more work to do to complete your case study. What is the case study? 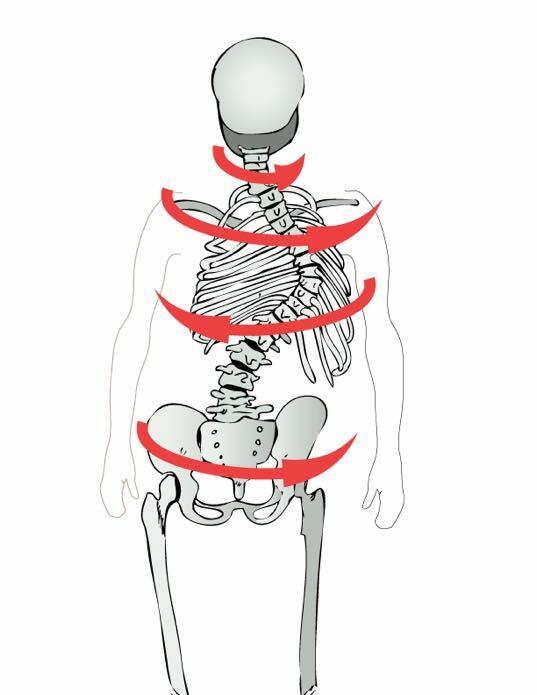 The case study is a basically a very thorough report of the work you performed with one scoliosis client/patient. You will see this client for 10 visits and report on what you did, progress you made, questions you have, and where you want to go next with this client. Please see the sample case study to help you perform this task. What are the benefits of being an Authorized Scolio-Pilates Practitioner? There are many. Just to name a few, you will be part of an active Facebook group where you can ask questions of Karena or the other practitioners to help you when you run into questions or need advice with clients or patients. You will be part of a quarterly online meeting to refresh your knowledge and skills of scoliosis and Scolio-Pilates. You will be invited to assist at workshops and Mentorships and eventually you may even be eligible to teach the Anatomy of Scoliosis Preparatory Scolio-Pilates Course. From a business point-of-view, is there a need to help those with scoliosis? Yes, and YES! This is a very under-served population. For several of our practitioners, once they begin seeing scoliosis client, it becomes the biggest percentage of their clientele. We need more practitioners with a passion for serving this under-served population! Is it going to be fun or REALLY fun? It’s going to be REALLY fun! We always have such a great time. The entire journey of becoming an Authorized Scolio-Piates Practitoner, can be just over a year-long process, but the rewards are great.